This past December I did something different to help me stay organized. 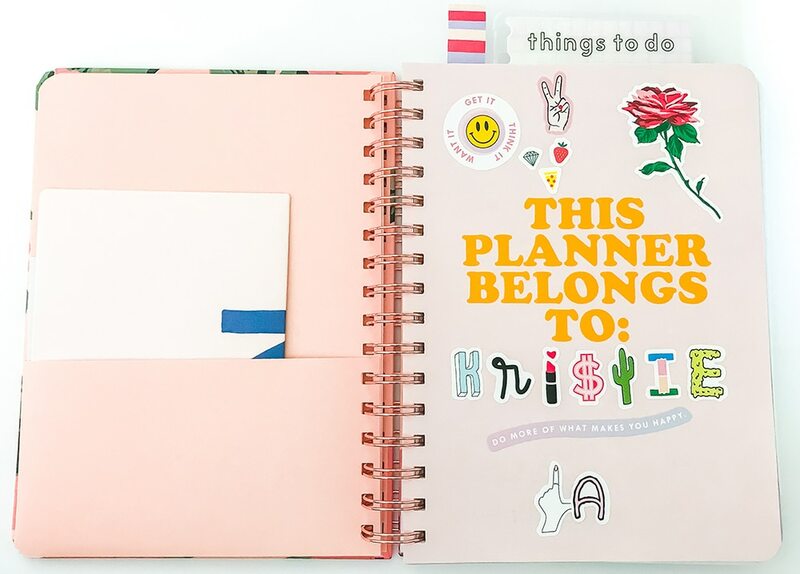 I purchased a planner, along with stickers, gel pens, sticky notes, and colorful accessories. It brought me back to my childhood when I’d pick one out each August as I anticipated the first day of school. As January 1st approached, I began by decorating the pages and filling in the important dates. Looking back, the last time I did this was about ten years ago. I had gotten into the routine of using a calendar app on my phone, or typing relevant info into my notes and reminders. 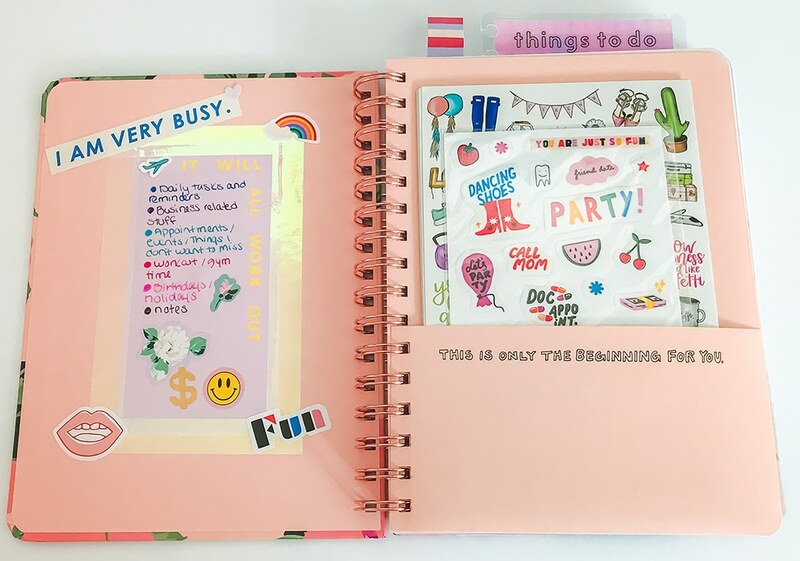 I had thought about creating a bullet journal (after seeing so many awe-inspiring Pinterest photos) but I was already pressed for time, so I went for a beautifully designed and efficient Ban.do 12 month planner. After using it daily for three months, I can say that it has helped me to stay more focused and organized. I’m more likely to accomplish a task when I see it written on paper right in front of me, versus viewing it on my phone. Here are my tips and tricks on how to use a planner effectively. There are so many options to pick from, it can be almost overwhelming. 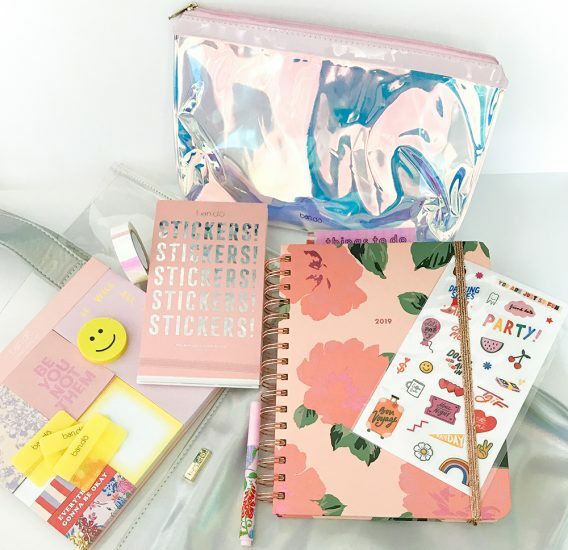 From portable pocket sizes, to large desk planners. Then there are basic planners structured for minimalists and life planners designed to help you achieve your objectives. Others fall into the categories of wellness, business planning, travel, and bullet journals. Besides the size, the layout is the most important aspect to take into consideration. Are you looking for a lot of blank space where you can customize the pages, or are you looking to do minimal writing? As you narrow down your choices, be sure to look at photos before you purchase it. Three sheets of colorful stickers. A double-sided pocket page to hold business cards, stickers, tickets, and small notes. The beautiful designs at the start of each month. Note pages that say things like “write down some reasons to party”. A monthly calendar and a list of holidays. Tons of black space to jot down notes, goals, and to-do lists. Positive affirmations and weekly suggestions like “plant an herb garden” and “catch up on that TV show everyone’s watching”. A shiny ribbon to keep it together. For setting up my layout, I record my everyday tasks, appointments, and daily reminders on the left side. The right side is dedicated to my lifestyle blog where I document my notes, reminders, RSVPS, and blogging tasks. By separating these two essential aspects of my life, it allows me to not become overwhelmed with what I have going on. 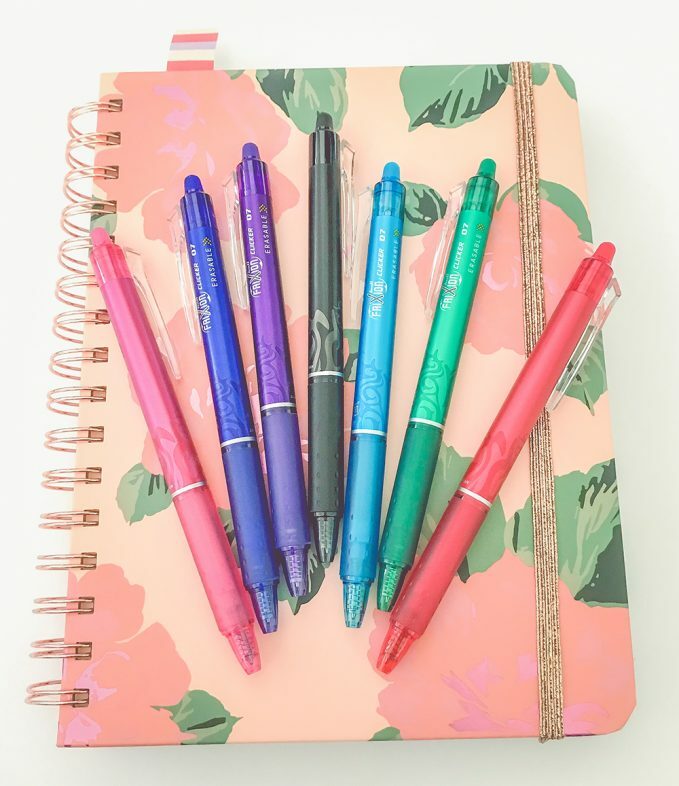 If you’re OCD with your penmanship (like me), pick up a set of erasable gel pens. My writing used to discourage me from having a planner, I would end up crossing things out or using the dreaded whiteout which made mess. Now, when something changes or I make an error I’ll neatly erase it and rewrite it in. Grab a sheet of paper or an index card and create a color chart. Think of what you need to keep track of and select a color to use for each item. Write it down and place it inside your planner; you’ll be able to refer back to it should you forget. 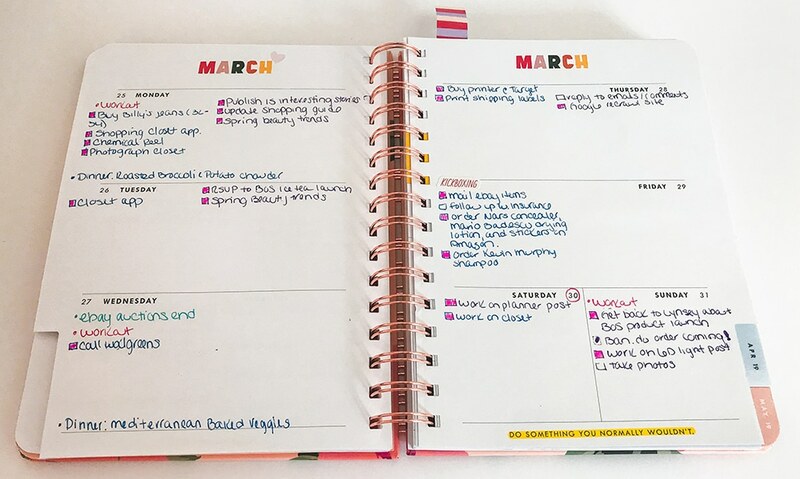 Not only does having a color-coded layout look eye-catching, it will encourage you stay more organized. 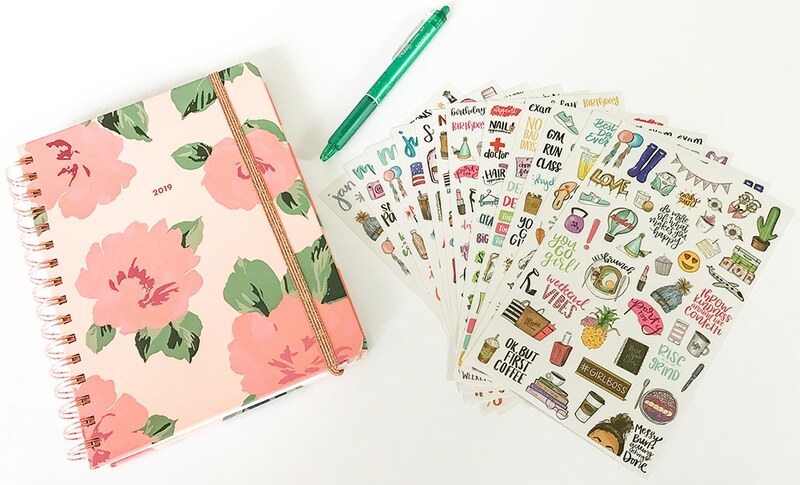 If you’re someone that loses interest in keeping your planner up-to-date, customizing it can help motivate you. 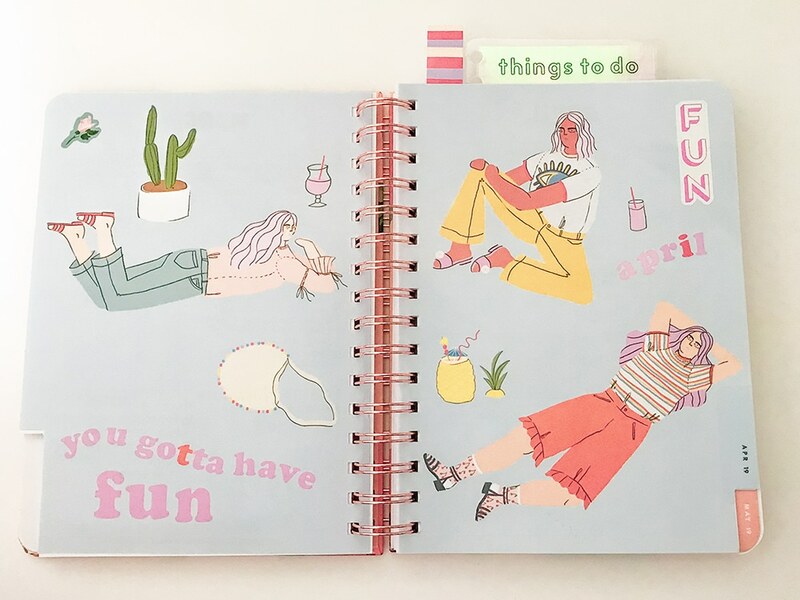 Whether you’re reflecting on recent work projects, or looking towards the future and planning a trip, looking at the colorful pages you designed is such a rewarding feeling. 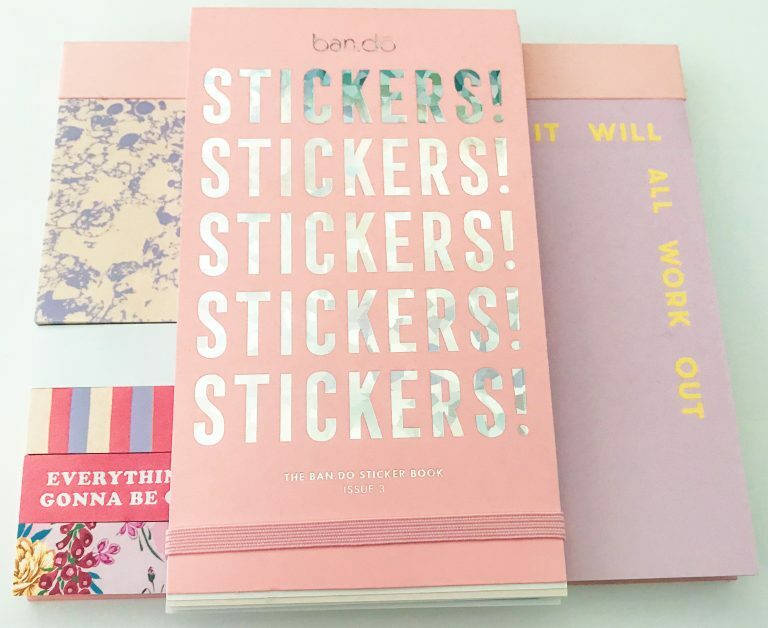 To customize my agenda, I choose things like productivity and holiday stickers, sticky notes, washi tape, a sticker book (issue 3), gel pens, and a holographic pouch to store it all in. 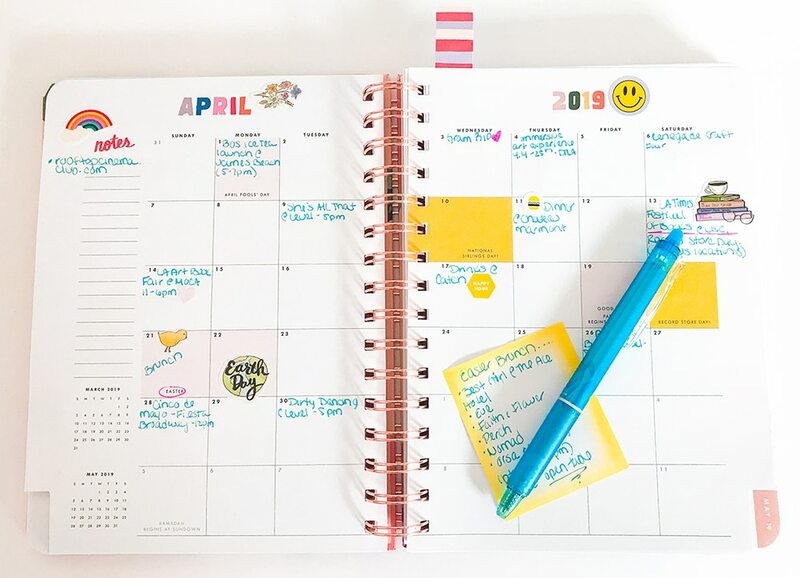 Set a specific time each week to update your planner. It only takes a few minutes but it will encourage you to carry out your tasks and plan for the week ahead. 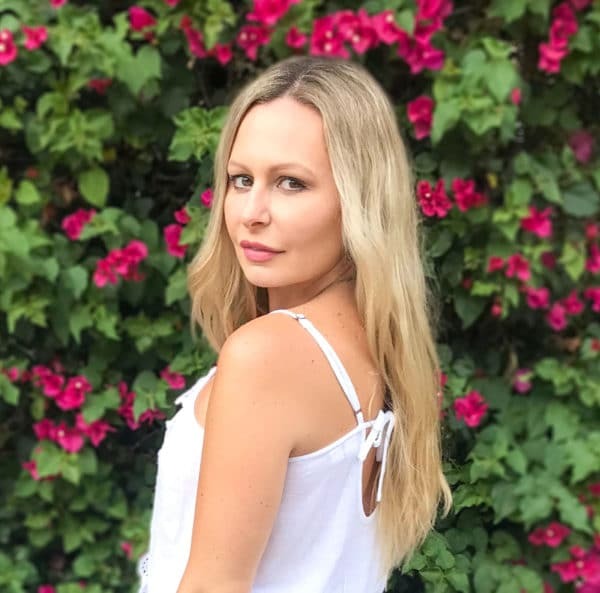 On Sunday evenings before I sit down to watch my favorite TV shows I’ll check to see what I have going on for the upcoming week, like appointments, business meetings, blog posts, phone calls, and photo shoots mixed with everyday tasks like errands, laundry, and cleaning. I’ll also make a point of scheduling my workouts around my free time and write down details like what I’m making for dinner and a reminder of what I need to pick up at the grocery store. The last step is looking back at the previous seven days and seeing if I have any missed tasks. If I did, I’ll add them to the week ahead. Open your planner with your morning cup of coffee. Look at what you need to accomplish and get the most important tasks out of the way. I’ll leave mine open on my desk and check off the items as I complete them, and I’ll add anything new that emerges. In the evening I’ll glance at it once more to make sure I’ve finished everything. As the current month ends, create a to-do list, along with any goals you hope to tackle during the upcoming month. Be sure to separate business from personal and refer back to it at least once a week. I make it a priority to look at mine every Sunday evening, and I’ll check off what I’ve wrapped up. I’ll then update it with new objectives. Brunches, date nights, dinners, parties—add them in. 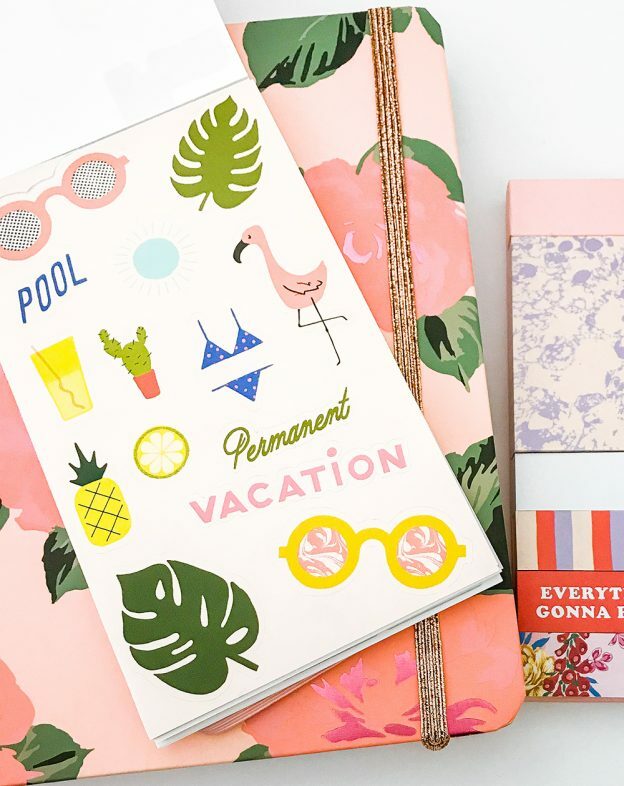 Your planner should include everything in your life, not just the everyday mundane tasks. I’ll make a point of researching what’s going on in Los Angeles—pop-ups, restaurant openings, and concerts and I’ll note what I’m interested in attending. I’ll also be sure to include in any business related events like product launches and parties. Don’t make a mental note, instead type into your phone any ideas, assignments, dates, appointments, and anything else that may arise. As soon as you get home copy them into your planner. It’s been a few months since I started jotting down all the important info in my life. I can honestly say since doing so, I’m a lot more organized, I’ve cut down on procrastination, and I get a lot more done. It’s important to remember when making a positive change, you don’t have to wait until the New Year. 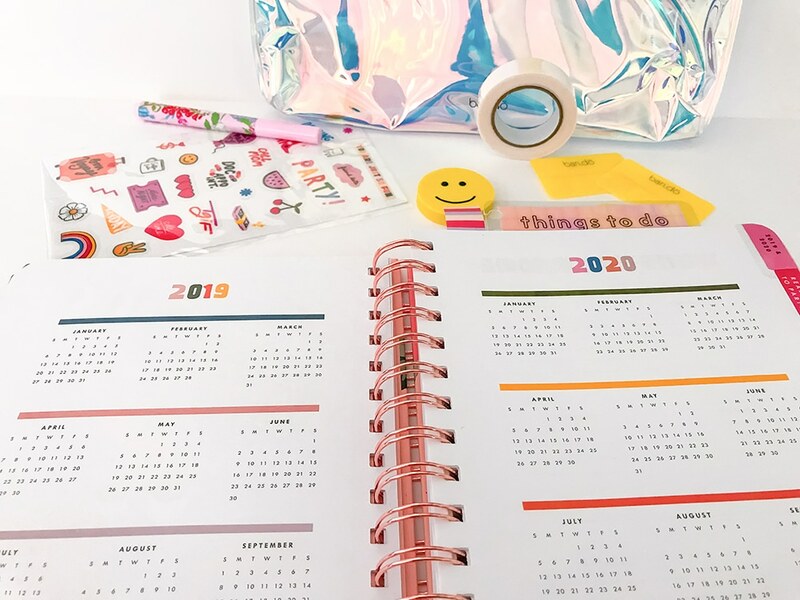 If you’re looking to become better organized, there’s no time like the present to go out and purchase a planner of your own and start today.